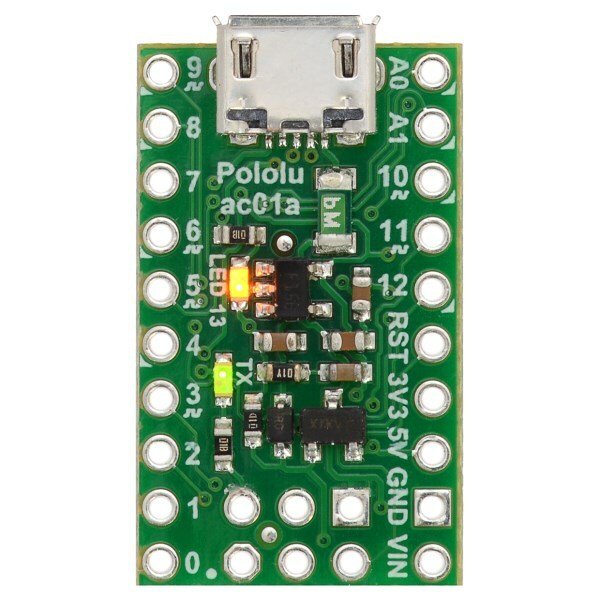 The Pololu A-Star 32U4 Micro is a tiny breadboard friendly Arduino compatible microcontroller board. 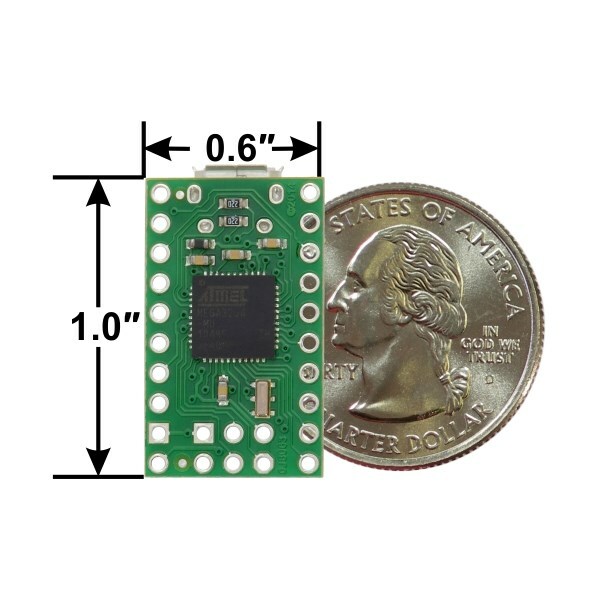 This small microcontroller board features an Atmel ATmega32U4 with 32 KB of flash, 2.5 KB of RAM and a built-in USB controller. 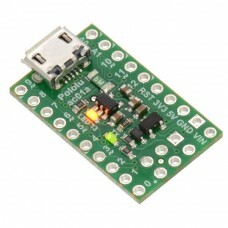 The A-Star 32U4 Micro provides 15 digital GPIO pins of which 7 can be used for PWM outputs and 8 for analog inputs. 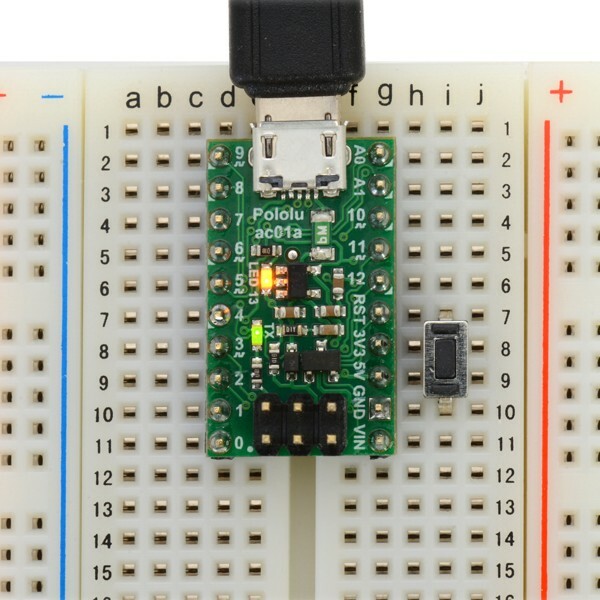 This tiny breadboard friendly microcontroller board only measures one by one half inches. 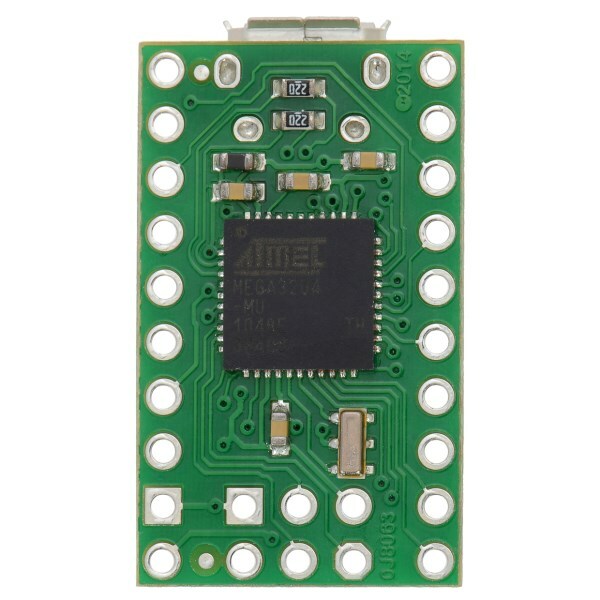 The ATmega32U4 microcontroller comes pre-loaded with an Arduino compatible bootloader. 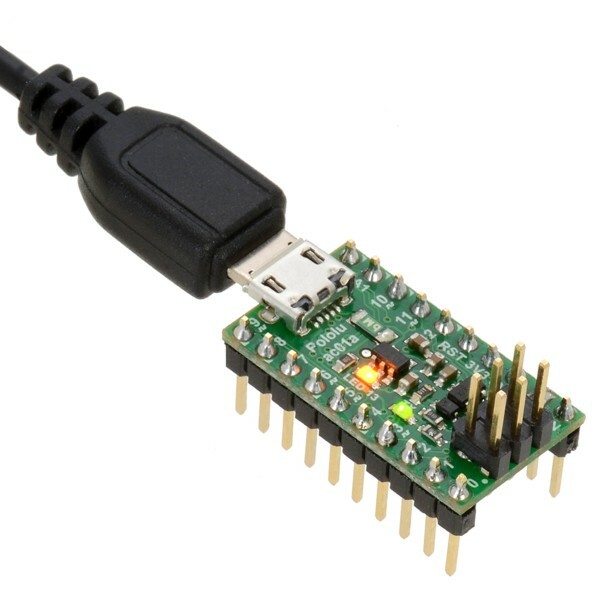 A USB Micro B connector allows easy programming with the Arduino IDE. 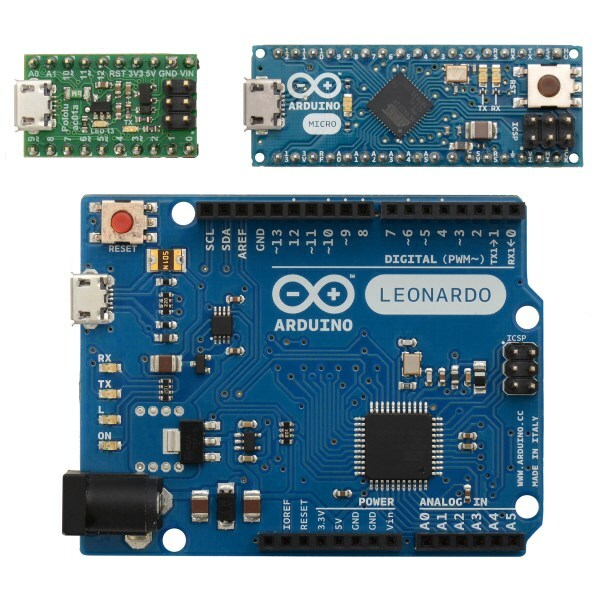 An ISP In-System Programming header is included for programming with an external AVR programmer for compatibility with Atmel AVR development tools. Two on board LEDs assist with diagnostics. This board includes an on board voltage regulator that can power the module from USB or and external 5.5-15 V power source. 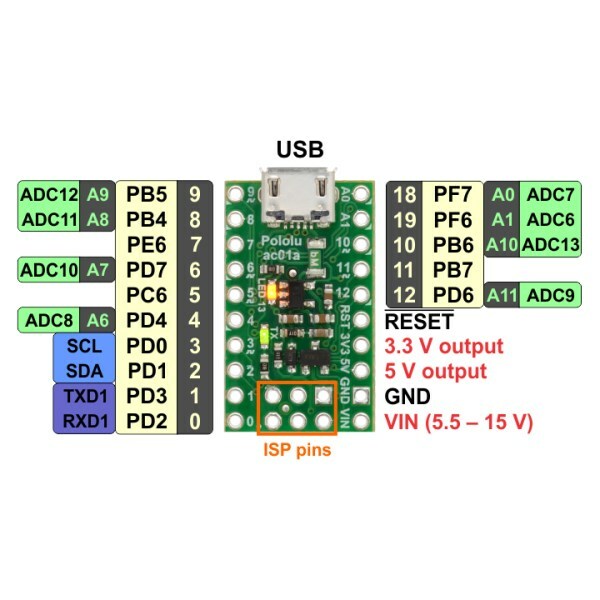 A resettable PTC fuse protects your USB connection. The external VIN power input is reverse polarity protected the help reduce damage from wiring mistakes. 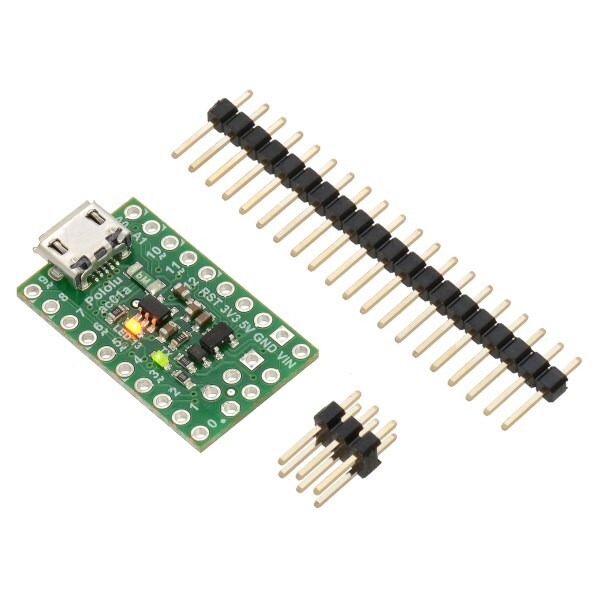 The package includes a set of male header pins that can be soldered onto the board as needed. Requires a USB Type A to Micro B cable for programming over USB.